Parents, Require Obedience of Your Children! Principle: If we want our children to learn how to obey God when they are older, we must require them to obey us as parents now. I have four children, the oldest of whom is 7. This is not mere philosphizing for me, it is real life. It is inevitable there will be conflict. Conflict between siblings and conflict between child and parent. This season in life is hard. Any parent can attest to this. Deciding which battles to fight is an ongoing state of being. While this state of being is not fun, it is worth doing right. My wife and I are seeking to raise Godly kids. That is no easy task in today’s culture. So I repeat: If we want our children to learn how to obey God when they are older, we must require them to obey us as parents now. As a parent I am not perfect. I get things wrong. But the principle remains true that if my children learn to respect and obey me now, they will be better suited to obey future authority figures in life, and ultimately God as the final authority figure. Unfortunately most parents are not requiring obedience from their children. It is easier to pacify their children in the moment than deal with the long term commitment of building obedience. 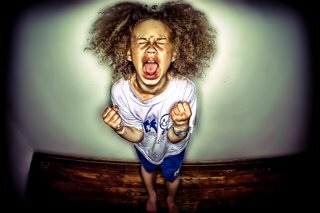 John Piper writes an excellent article addressing believing parents and how they need to require obedience. Please read the full article as Piper unpacks each of these nine points with biblical passages and practical application. If you are a parent, or hope to be one in the future, it is worth your 5+ minutes! Click it here: Parent, Require Obedience of Your Children. 1. Requiring obedience of children is implicit in the biblical requirement that children obey their parents. 2. Obedience is a new-covenant, gospel category. 3. Requiring obedience of children is possible. 4. Requiring obedience should be practiced at home on inconsequential things so that it is possible in public on consequential things. 5. It takes effort to require obedience, and it is worth it. 6. You can break the multi-generational dysfunction. 7. Gracious parenting leads children from external compliance to joyful willingness. 8. Children whose parents require obedience are happier. 9. Requiring obedience is not the same as requiring perfection. Can you be “Too Theological” for Teens? – NO! – You can be too boring. You can be a bad communicator. You can refuse to speak their language. But you cannot waste Truth. Theology is how we understand God. If you think someone is “too theological” you probably are reacting against individual characteristics of that person rather the desire to understand and know God. Sometimes we think that teenagers don’t care about the things of God or they wont understand theology if they were taught it. Shame on us if we believe or propagate this lie. Teenagers today care deeply about spiritual things, they just have had little exposure to Truth! This generation is seeking something real. Why else is there the hunger for social justice we see in young adults if there was no understanding of right and wrong? Why is this generation so driven for purpose and meaning if there is no fulfillment for that desire in something bigger than ourselves? I believe this generation is starving for good theology. They are hungry for real convictions. And, by the grace of God, when given the opportunity they will soak it up like a sponge. Yet, they can sniff out insincerity like a shark smells a drop of blood in the water. They refuse to play a game when it comes to matters of faith. They are looking: What will you offer them? What will you live out in front of them? Don’t sell your teenagers short when it comes to theology. If they can do physics and calculus in their school settings, we know they can handle complicated issues when they put their minds to it. Why should it be any different in church? Teenagers will rise to the level of expectation you place on them. If you expect them to only appreciate pizza parties and 3 minute devotionals, that is probably what you will get. If you challenge them to dive into the richness of scripture you may just see a new side of your teenagers. Last night at our student worship service I tested the limits of theology with teenagers. 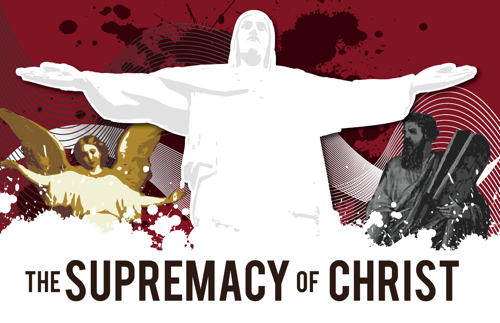 On the verge of summer break I taught on the “Supremacy of Christ over Your Summer”. We read over Colossians 1 and discussed who Christ truly is and how that applies to us right now. The kicker was this video I showed. John Piper does a 18:53 minute talk on the doctrine of the Supremacy of Christ posted with a symphonic background by Brent Fischer. It planted new thoughts to grow in their mind. It painted a grand picture of Christ, one larger than we can fully comprehend. If you have not seen this video it will be 18 minutes and 53 seconds of well spent time. It will challenge you and give you perspective on the person of Christ. Did Piper preach this for teens? Of course not. Can it inform and light a fire for teenagers? Yes! Because good theology provides the foundation for a passionate Christian life at any age. In this inspiring 3 minute clip, John Piper exudes with passion as he highlights the ramifications of Jeremiah 32:40. At one point he says, “I can’t imagine any greater verse in the Bible”. Wow. The infinite heart of God is engaged in doing us infinite good. Mind blown. Watch it and see. In this flashmob organized in Sabadell, Spain an unsuspecting courtyard is bombarded with beauty as an orchestra slowly materializes out of thin air with a majestic rendition of Beethoven’s 9th symphony. It is moving and powerful. A crowd develops around the musicians realizing they are beholding something rare and beautiful. Children are dancing, adults are swaying, everyone is captivated by the beauty of the moment. Time stands still. In the middle of busy schedules why did these people stop to listen? I believe it is rooted in our innate yearning for beauty. John Piper describes this desire that is in every person. We long for something bigger than ourselves. Whether that is in the arts, nature, or daily life, when we catch a glimpse of it we stop in wonder. We realize there is more to this life than what we can see. We seek out beauty because we are created to have a relationship with the Author of beauty. Because of image of God imprinted in us, all humanity has a void in our souls that resonates with true beauty. This resonation of beauty lures us to its source. When we behold beauty it acts like a compass. It points us beyond the momentary glimpse of beauty to the source of all beauty. The compass does not show us our destination, it is just a guide. It keeps us grounded in reality, understanding where we are in this world. The sunset and the orchestra in themselves leave us wanting. They are not the destination. While they are beautiful for a moment, we desire more than these things can offer. When you and I encounter moments that take our breath away, whether a sunset or a work of Beethoven, let it remind us that, yes, there are amazingly beautiful things in this world, but they are mere shadows of the true beauty that is God Himself. How do we get to know God? Through His Son – Jesus Christ. This letter is a must read for anyone who has ever felt incomplete. John Piper describes how he was not a “caterpillar” who disappeared into a cocoon only to emerge as beautiful butterflies when the time was right. But he (and all of us) are more like frogs who publicly transform from a tadpole to a frog with all the awkward stages in-between. In this rare occasion that John Piper speaks to a teenager, we receive a skillful description of the process of sanctification and some real encouragement along the way. Check out the original article here. Read the whole thing, it’s worth it! Frogs are born teeny-weeny, fish-like, slimy, back-water-dwellers. They are not on display at Sea World. They might be in some ritzy hotel’s swimming pool if the place has been abandoned for 20 years and there’s only a foot of green water in the deep end. Then a couple more legs. Then a humped back. The fish in the pond have already pulled back: “Hmmm,” they say, “this does not look like one of us any more.” A half-developed frog fits nowhere. But God is good. He has his plan and it is not to make this metamorphosis easy. Just certain. There are a thousand lessons to be learned in the process. Nothing is wasted. Life is not on hold waiting for the great coming-out. That’s what larvae do in the cocoon. But frogs are public all the way though the foolishness of change. The capacity of these men for amazement was huge. I marveled and I prayed that I would stop wasting so much time and so much emotional energy thinking about myself. Yuk, I thought. What am I doing? Why should I care what people think about me. I am loved byGod Almighty and he is making a bona fide high-hopping frog out of me. Thank God for Paul and Lewis and my dad! It’s all so obvious now. Self is simply too small to satisfy the exploding longings of my heart. I wanted to taste and see something great and wonderful and beautiful and eternal. So my advice is: be patient with the way God has planned for you to become a very happy, belly-bumping frog. 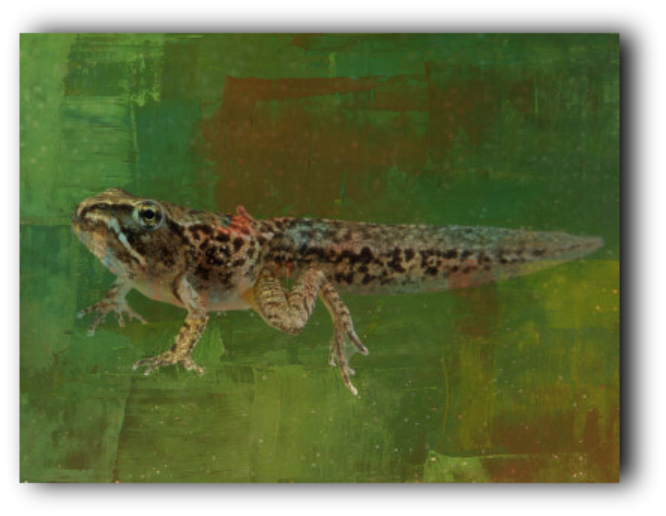 Don’t settle for being a tadpole or a weird half-frog. But don’t be surprised at the weirdness and slowness of the process either.